Ken passed away peacefully on August 27, 2018 at the age of 76 after a long and courageous struggle with blood cancer. He is survived by his devoted wife of 51 years, Mary (nee Elliot), his loving children, Deanne (Cameron) Bertsch, Shannon (Keith) MacMillan, and Devon (Stephanie) May as well as his cherished grandchildren, Tavia and Kiara Bertsch, Catriona and Carson MacMillan and Emmy and Nathan May. Ken is also survived by his siblings, Gerald May, Claire (Lies) Van Marion, Marion (Jack) McKay and Arlene McKnight as well as many nieces and nephews. Ken was predeceased by his parents, Earl and Elsie May, and his sisters, Diane and Lillian May. Ken had many adventures growing up on the farm where he learned to work hard, love nature and value his education in the one room school. He developed a passion for sports which lasted throughout his lifetime, baseball in his early school days followed by football in high school. He was passionate about the Winnipeg Blue Bombers and eventually transferred this passion to the Calgary Stampeders. His sisters taught him to jive and Mary loved nothing better than jiving with Ken. Ken graduated from high school in Killarney, Manitoba as valedictorian, in 1960. 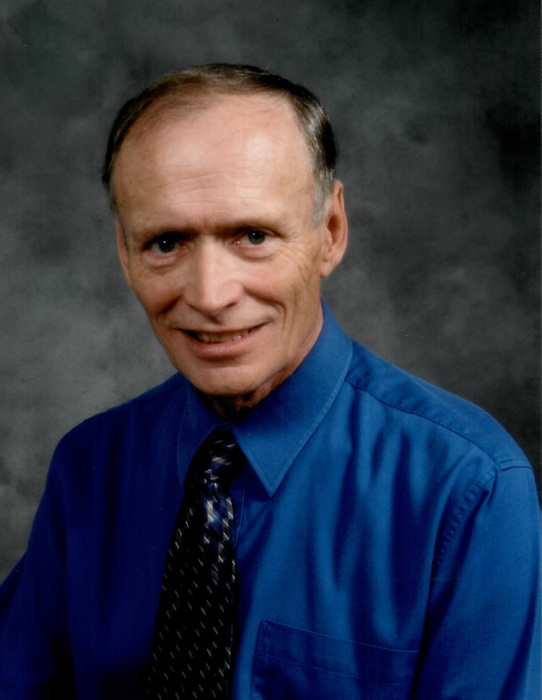 In 1963 he graduated from Brandon College with a Bachelor of Science degree in Chemistry, Physics and Mathematics. He taught on permit for two years in Miniota, Manitoba before attending Simon Fraser University for his Bachelor of Education degree. It was there he met Mary and they were married in Vancouver on July 22, 1967. Ken persuaded Mary to leave the grey skies of Vancouver behind and move to sunny Manitoba where they lived and taught in small towns for eight years. Ken moved to Lethbridge, Alberta in 1975 with his family, which now included three children, to teach Mathematics at Winston Churchill High School. Ken obtained his Masters degree in Math and Science education over the course of three summers at U.B.C. He had a memorable year teaching on exchange in Melbourne, Australia in 1981. Ken was an exceptional teacher whose greatest strength was his ability to relate to his students and to help them to develop a love of math. He was often found helping individual students after school or around the dining room table at home. He was proud to have taught each of his three children calculus in their grade 12 year. Ken was instrumental in establishing the International Baccalaureate Program at Churchill. He was also very involved in extra-curricular activities including coaching baseball, ski club organizer, Reach for the Top coach and debate club organizer. He served as a vice-principal at Churchill for seven years. Above all, Ken was a loving husband and father who cared deeply about his wife, children and grandchildren and always put his family first. He had a great sense of humour and made Mary laugh every day. They shared many common interests including hiking, skiing, tennis, camping, curling and bridge. When they retired in 2000, Ken and Mary moved to their mountain cabin in Beaver Mines. They have been fortunate to travel the world with several trips to Europe, Australia, New Zealand and exciting cruises to far flung places like South America. He fell in love with Arizona twelve years ago and loved his winter home in the sun at Greenfield Village in Mesa. In recent years, Ken became passionate about duplicate bridge, attending tournaments, taking lessons and becoming a director. He loved playing bridge with good friends in the Pincher Creek Duplicate Bridge Club and longtime friends in Lethbridge. Ken's zest for life, positive energy and kindness are qualities which we will remember always. His inner peace and acceptance of his health condition were an example to us all. Ken, we will love you forever. A very special thank you to Dr. Rommens and the caring staff at Pincher Creek Hospital. Ken’s opportunity to receive flexible transfusions during the last four years extended his life. We also want to thank Dr. Jenkins at the Tom Baker Cancer Centre for her expertise in treating Ken’s blood cancer over many years. 1331-29th St., N.W, Calgary AB T2N 4N2.